My #1 favorite novel of all time is Jane Eyre by Charlotte Bronte. I have read it MANY times, and I’ve seen all the film versions like a million times. Way back in 2011, I saw this novel for sale in my local Barnes and Noble, purchased it, and devoured it in one day. 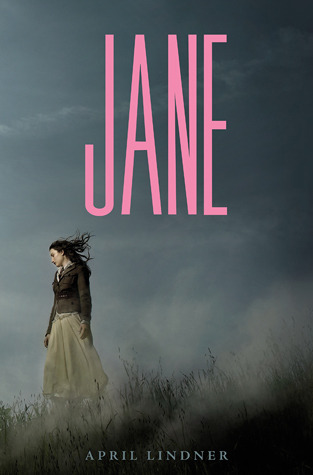 If you are a fan of Jane Eyre then I highly recommend Jane. I love how the main characters are a nod to Jane Eyre and Mr. Rochester, but are unique individuals all their own. Jane is definitely top on my top-10 to re-read list. Forced to drop out of an esteemed east-coast college after the sudden death of her parents, Jane Moore takes a nanny job at Thornfield Park, the estate of Nico Rathburn, a world-famous rock star on the brink of a huge comeback. Practical and independent, Jane reluctantly becomes entranced by her magnetic and brooding employer and finds herself in the midst of a forbidden romance. But there’s a mystery at Thornfield, and Jane’s much-envied relationship with Nico is soon tested by an agonizing secret from his past. Torn between her feelings for Nico and his fateful secret, Jane must decide: Does being true to herself mean giving up on true love? An irresistible romance interwoven with a darkly engrossing mystery, this contemporary retelling of the beloved classic Jane Eyre promises to enchant a new generation of readers. oooo immediately adding to my TBR!! It’s a good one. And, it’s a quick read too.